Click on the book covers below to learn more about each title. If you would like to purchase, Amazon.com's excellent on-line system takes your order, processes payment, and ships directly to you. A portion of book sales are donated to the Lupus Foundation. For your purchase to qualify for donation, the purchase must be made as a result of a direct link from this page. If you find a book on this visit, but plan to purchase later, please return to this page at the time of your purchase. 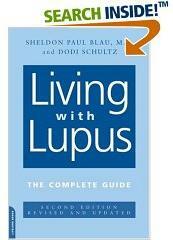 Endorsed by The Lupus Foundation of America. Dr. Wallace, a world-renowned expert on lupus, explains what the disease is, why it is so difficult to diagnose, and how patients can ease the more difficult manifestations. Describes what a patient should expect and provides explaination of some standard lab values. Physician Lahita and psychologist Phillips have had considerable experience in diagnosing and treating lupus and helping patients and their family members cope. 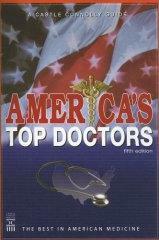 Their book, aimed primarily at patients, clearly discusses the different types of the disease. 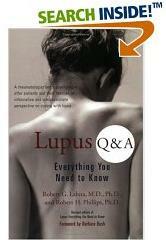 Because lupus can be so confusing, Lahita and Phillips also discuss medical disorders similar to it. They also convey basic information in question-and-answer format about the immune system, tests and diagnosis, symptoms, and complications. Guide to 4,000 of the nation's best doctors in all specialties with detail on expertise in such areas as lupus and other autoimmune conditions. Each physician's listing includes vital information such as medical school attended and the year of graduation, board certifications, hospitals to which the doctor admits patients, residencies and fellowships, faculty appointments, office hours, and health plans in which they participate. Updated for 2008! This concise yet comprehensive volume provides clinicians (and patients possessing advanced knowledge) with practical guidance on the diagnosis and management of systemic lupus erythematosus. Revised and updated to reflect recent diagnostic and therapeutic breakthroughs, the book offers expert advice on the day-to-day care of patients with the varied manifestations of this disease.The opening chapters describe the general symptoms of lupus, its immunological mechanisms, and the criteria for diagnosis. A major portion of the book focuses on the manifestations of lupus in specific organ systems--musculoskeletal, cutaneous, cardiac, pulmonary, hematologic, renal, gastrointestinal, and neurologic. The concluding chapters present current guidelines for patient monitoring, therapy, and use of medications. 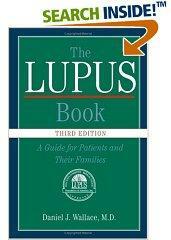 Systemic Lupus Erythematosus, Fourth Edition by Robert G. Lahita, M.D. This textbook successfully links basic science with clinical medicine, providing a framework within which to understand this complex disease. As Lahita states in the introduction, 'The history of discovery is now in the log phase of growth.' The third edition of Systemic Lupus Erythematosus conveys the excitement and the breadth of this dynamic field. This volume will be an excellent resource for basic and clinical scientists, as well as for the students of imunology and rheumatology. The chapters are well-referenced and can be read independently- as befits a reference book. Topics include stress, strokes, and seizures; cerebrovascular disease; neuroendocrine aspects of systemic lupus erythematosus; and autoanitbodies and SLE. Special appendixes list resources for dealing with lupus and provide symptoms and overviews of "imposter diseases" including CFIDS, candidiasis, multiple sclerosis, and temporomandibular joint (TMJ) syndrome. Magazines: Including Health & Wellness and American Health for Women.